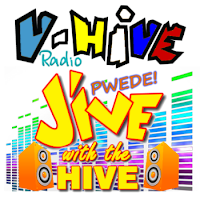 V-Hive Radio is proud to present our very own Jackie PaJo. Visit her Official Website and listen to her music together with the JPF Band and her friends. Download her albums in iTunes and catch her LIVE On-Air 12 midnight 'till 3 AM (Philippine Time) only here in V-Hive Radio!